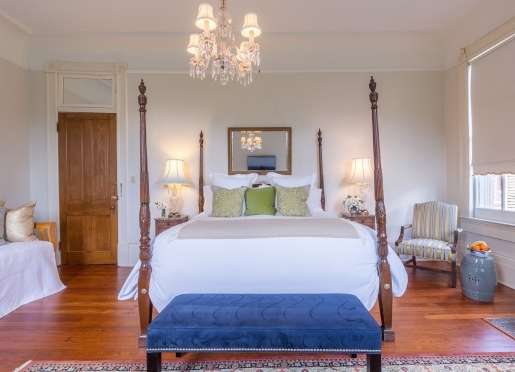 Revel in the experience of making the most of the insider knowledge of music, art, and food that comes with the Southern hospitality and personal concierge services provided by the innkeepers. 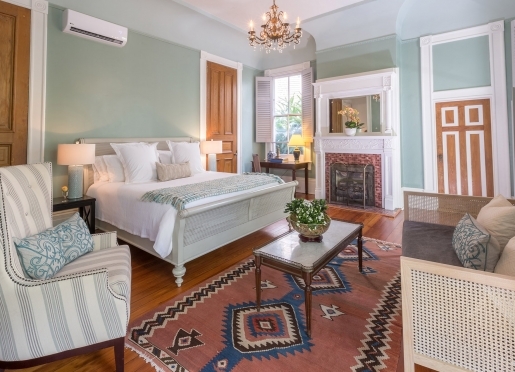 Sully Mansion Bed and Breakfast in the Garden District of New Orleans, Louisiana is a luxurious mansion only four blocks from the Magazine Street shops and restaurants and one block from the nearest streetcar stop to transport you to the French Quarter or Uptown New Orleans. 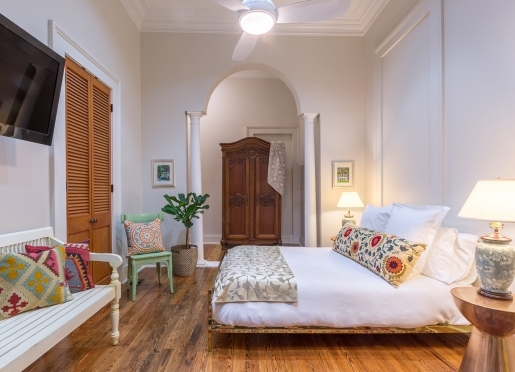 This New Orleans bed and breakfast built in the Queen Ann style has nine unique rooms that include complimentary breakfast, secure wireless Internet access, cable television, clock radios, private baths, writing desks, and guest services areas. Travelers are always looking for memorable and relaxing experiences. Let’s discover more through the words of our innkeepers. Many thanks to Melinda for sharing her own secrets with BBOnline.com! 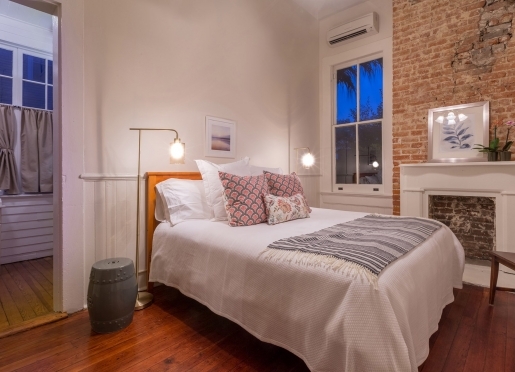 Travelers stay with us to experience the historic neighborhood of the Garden District and be close & to the unique stores and restaurants of New Orleans. Who doesn't love a central location! 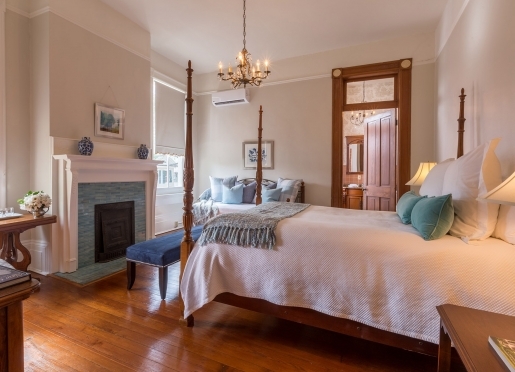 Our inn is the only one in the Garden District and guests get to live like a local in a home that embodies all the beauty and fantasy of the city with it's new renovations.We love the elegance of the house and the neighborhood which is an architectural landmark. The #1 reason to visit New Orleans is for the&food, music, and unique culture which is a blend of French, Spanish, Caribbean and African. It is unlike anywhere else in America. 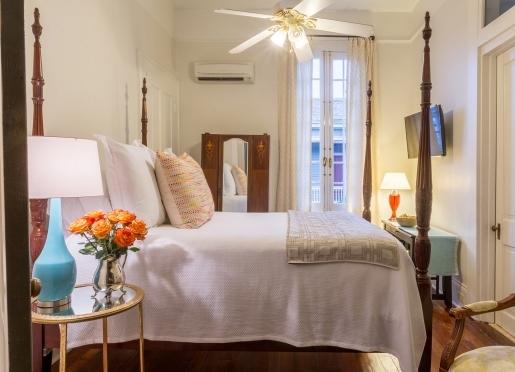 Guests feel simultaneously at home and comfortable and extremely pampered. The best kept secret in the area is that all the good restaurants are here. You can get away with a mediocre eatery in the French Quarter, but the locals eat and drink Uptown. Travelers staying longer than a weekend should walk the streets of the Garden District, shop the unique stores of Magazine street, take the streetcar the length of St. Charles, visit the World War II museum, stroll City Park and the sculpture garden, take the ferry across the Mississippi to Algiers, get lost in the French Quarter, hear music at Frenchman Street, take a cemetery tour, go to Mardi Gras World, dance to zydeco music at Rock N Bowl, take a swamp tour, and visit plantations. There's always time for something! We serve a lavish continental breakfast including fresh fruit, homemade baked goods, quiches, yogurt parfaits, cereals, juices, coffees and teas during the week. During the week breakfast is served from 8:00 to 10:00 although we are always happy to accommodate the schedules of our business travelers who may have early meetings. Weather permitting, guest are welcome to enjoy their breakfast on the wrap-around porch or in the garden. You cannot live in New Orleans and not take food seriously and while we would never dare to compete with the world class restaurants throughout the city, we stand by the quality and freshness of the food we serve at Sully Mansion. We are more than happy to accommodate dietary restrictions and food allergies, just be sure to let us know. 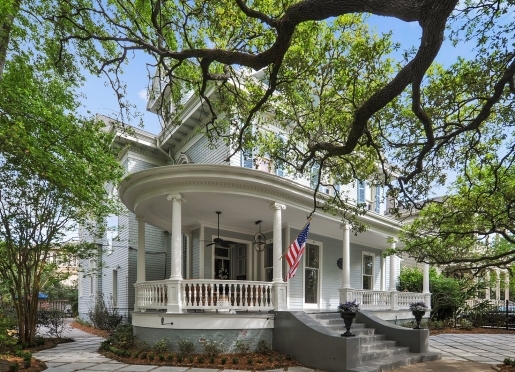 The Sully Mansion is an 1890 Queen Anne Victorian located in the heart of the Garden District, full of special touches you do not find in an event hall. We host a variety of different events from, a formal Cocktail Party, an elegant Dinner Gathering, a fun Bridal Shower, a Special Holiday Celebration, a unique Wedding Reception and Authentic Crawfish Boil! We are fortunate to work with a select group of caterers, bakers and musicians and we can either put you directly in touch with them to clarify your choices. We are happy to work with event planners and outside vendors as well. Call us today to begin planning your one of a kind event. Sully Mansion’s gracious surrounding evocative of an era gone by is the perfect setting for an intimate wedding and ceremony. We can accommodate up to 50 guests for an indoor event and 150 guests for an outdoor wedding. Your ceremony or reception can take place on our large porch or in our romantic tropical courtyard. We are happy to work with outside vendors and are fortunate to work with a selected group of caterers, bakers and musicians and we can either put you directly in touch with them to clarify your choices or speak on your behalf to make sure that every last detail is exactly what you envision. Call us and let’s start planning your special day. 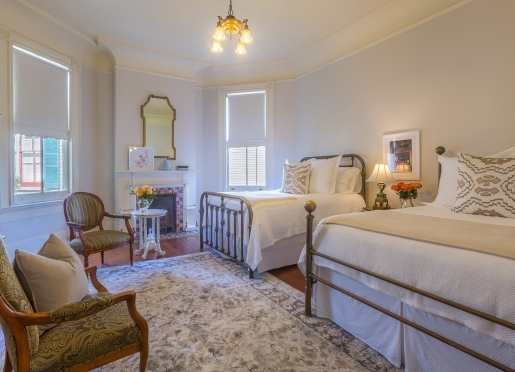 The Sully Mansion offers a number of packages for the bride and her wedding party. Celebrate your special occasion in a one of a kind environment. The Sully Mansion is a Queen Anne Victorian built in the 1890’s full of special touches you do not find in an event hall. We can host a variety of different events from a formal cocktail party to an elegant dinner party to a crawfish boil celebration. We have in-house catering and are happy to work with outside vendors. Our interior space can accommodate up to 50 people comfortably, with a two story stained glass window fourteen foot ceilings and plaster medallions and original Louisiana art work adding to the ambiance. The wraparound porch provides a perfect spot for a bar or musicians and expands the capacity by another 30 people. Our maximum capacity is 120 guests and for events over for over 70 we require the rental of a tent for the side garden. Give us a call! The Interior-Typifies the Queen Anne style of the 1890’s with 800 square feet of event space, two story stained glass windows, fourteen foot ceilings , plaster medallions and original Louisiana art mixed with period pieces. Pocket doors close off the professional grade kitchen. The Tropical Courtyard- Featuring over 2,200 square feet of newly renovated exterior courtyard with pavers, wall fountain, tropical landscaping and up lighting, multiple electrical outlets and access to two powder rooms. 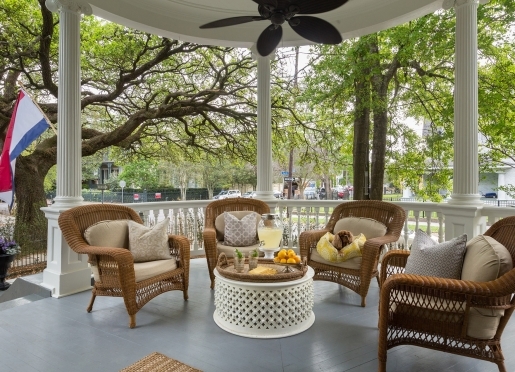 The Wraparound Porch The 415 square feet porch is surrounded by lush tropical greenery and a large centurion oak tree overlooking Prytania Street and the homes of the Garden District. Business travelers receive 10% off rates of select rooms Monday through Thursday during our regular season. Continental breakfast is included and can be prepared to go. We cater to special dietary needs with advance notice! 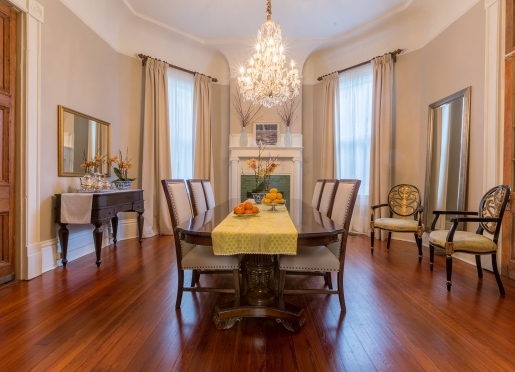 The Sully Mansion is a perfect alternative to a sterile hotel meeting room. Our goal is to provide excellent service and a comfortable, productive meeting environment and are happy to work with your group to accommodate different schedules and needs. An expanded continental breakfast is included in our day rates and we provide a variety of catered lunch options. Our Dining Room accommodates 10-12 people in meeting-style seating. The room has Wireless Internet and multiple electrical outlets. 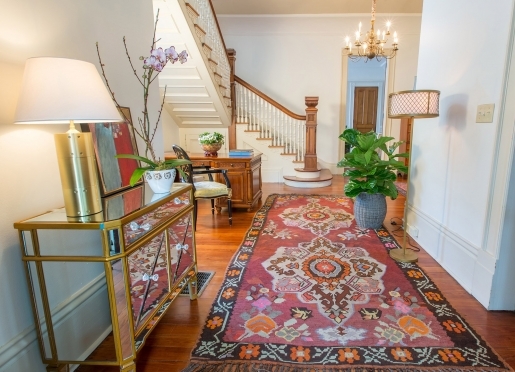 For multi-day retreats, the Living Room and Upstairs Foyer are available as a break out room when you reserve guest rooms at the Inn. See our Corporate Events page for more info. For receptions, our interior common areas hold up to 50 people comfortably, and an additional 30-40 if the porch and grounds are included. 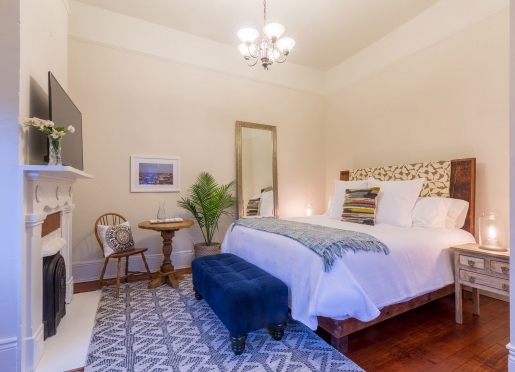 Our 8 guestrooms can sleep a total of 22 people. 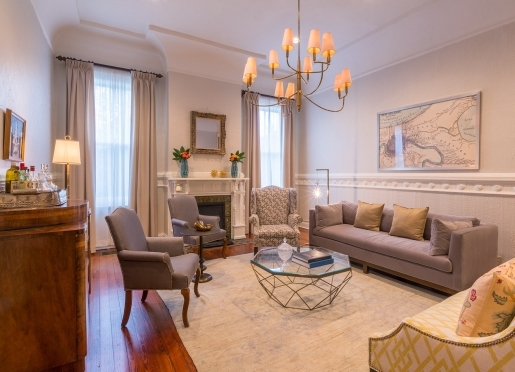 The Sully Mansion is a perfect alternative to a sterile hotel meeting room. Our goal is to provide excellent service in a comfortable, productive meeting environment. We are happy to work with your group to accommodate different schedules and needs to insure your time together is valuable. Our formal meeting space has Wireless Internet and multiple electrical outlets with space for flip charts and easels and can seat 10-12 people around a work table. An expanded continental breakfast and mid-day snack is included in our day rates and we provide a variety of catered lunch options. Lunch can be served in the courtyard, on the Porch or a working lunch is possible in the Dining Room. For multi-day retreats, the Living Room and Upstairs Foyer are available as a break out room when you reserve guest rooms at the Inn. Thank your staff or invite your local customers to a cocktail party in our lush tropical courtyard. We promise your meeting participants will appreciate the opportunity to work together in such a special space. Give us a call and let’s plan that productive meeting! Our vibrant city is full of things to do whether your interest is in architecture, history, food, music, shopping, art or the great outdoors you will any visit is too short to take advantage of all New Orleans has to offer. Interested in playing a round of golf? Going after the big fish? Touring a plantation? Riding an airboat through the swamps? Finding the perfect gift or securing a dinner reservation let our concierge service help you. We are happy to make arrangements for you or offer our suggestions to plan your itinerary. We are in a safe residential area with 24 hour security patrols by the Garden District Security Officers, this allows us to offer safe on street parking. Be sure to check our blog to learn about the exciting Festivals, special events or fun local happenings during your stay. “For Mardi Gras, the location cannot be beat! 1 block off the parade route in the heart of the Garden District you can at once be in the thick of the fun or step a few paces away to relative peace and quiet. The Inn itself is beautifully maintained by Guy and Nancy. As hosts they are gracious and welcoming, offering any assistance they can to make your visit everything you want it to be.” ~ TripAdvisor.com Review (Mission Viejo, CA). For information on Music, Restuarants, and Shopping recommendations, please visit our website at http://sullymansion.com/new-orleans/attractions-map/. New Orleans boasts five universities within the city limits. Whether your destination is Tulane, Loyola, Dillard, Xavier or the University of New Orleans, why stay in another faceless hotel when you can take advantage of all the amenities and receive personal service in a historic gracious environment We are close by to most of the institutions of higher learning, Tulane and Loyola Universities are a quick streetcar ride away. If you are coming as a prospective student we can fill you in about life in the city and with a son who graduated from Tulane in 2008, we have the inside scoop for parents! 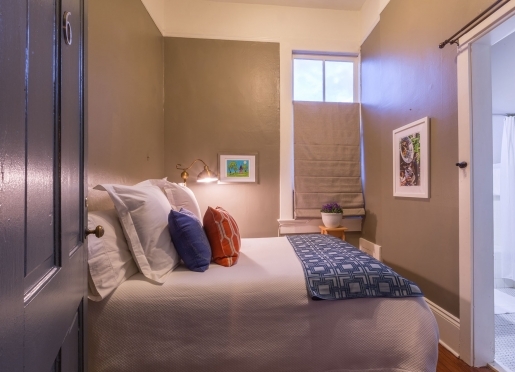 We have a number of spacious rooms which can accommodate three or more for parents traveling with their children and offer a 10% discount off our regular season rates for prospective students. Just enter the code TULU when booking a room on line or let us know when you call. If your business with the universities is to attend a conference or have a job interview, what better way to learn the city than stay with natives! 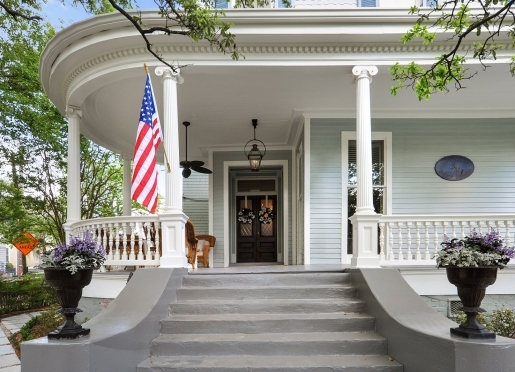 The Sully Mansion Bed and Breakfast is in the Heart of the Garden District with safe on-street parking available.